Dimensioni di questa anteprima: 800 × 481 pixel. Altre risoluzioni: 320 × 192 pixel | 640 × 384 pixel | 1 024 × 615 pixel | 1 280 × 769 pixel | 2 136 × 1 283 pixel. 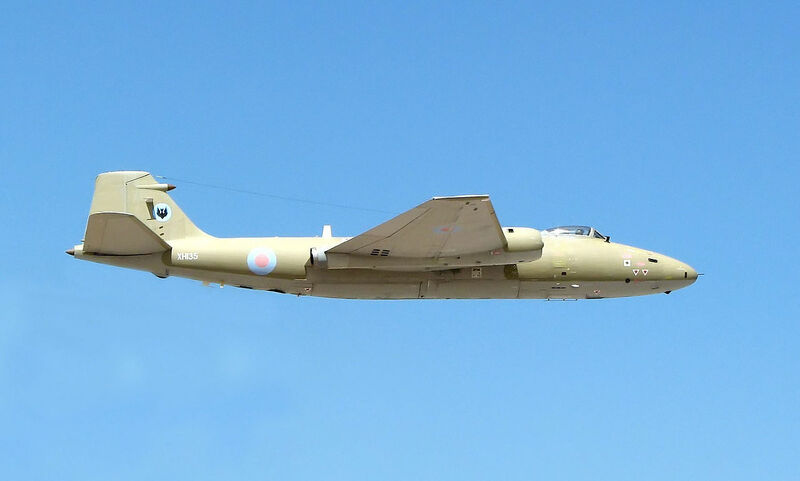 English Electric Canberra PR.9 (identifier XH135) taking off from the Royal International Air Tattoo, RAF Fairford, Gloucestershire, England. Photographed by Adrian Pingstone on July 17th 2006 and released to the public domain.